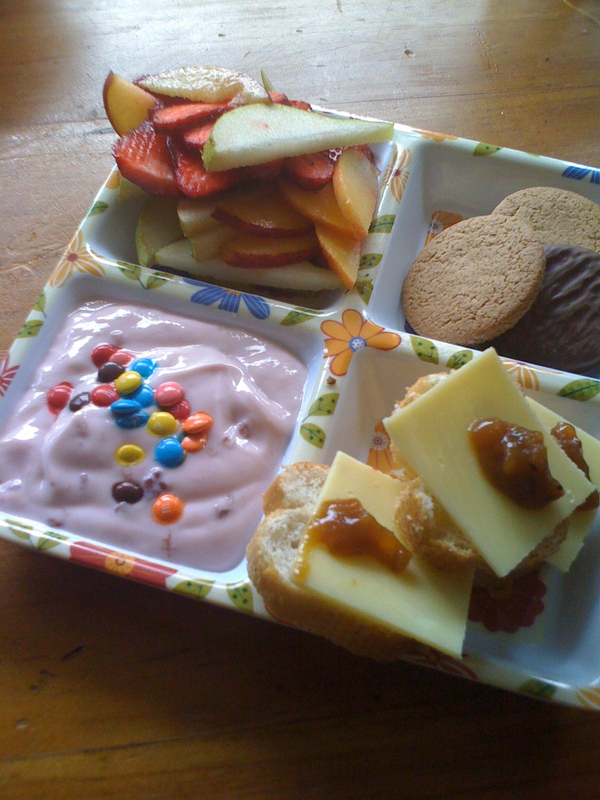 With music lessons to get to, and reports to be dropped into school, lunch had to be a rush…. shame I left my sewing machine at school….. I wanted to try something this afternoon with it. 2. Gingernuts – chocolate and regular for comparison. Prefer the regular. 3. Fruit of the Forest yogurt with M&M’s… must get rid of them! Grrrrrr. 4. Bagette rings with cheese and Indian Chutney.